This is one of the many great eps of MWC that features Al's pasttime of bowling. I gave it 4 stars and I consider it amongst my faves. 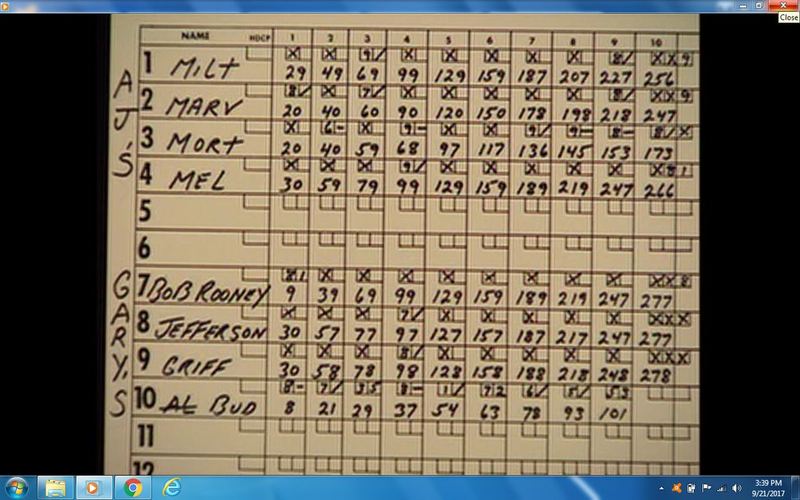 No Ma'am President wrote: This is one of the many great eps of MWC that features Al's pasttime of bowling. I gave it 4 stars and I consider it amongst my faves. Yes, I love the bowling episodes! I give it a 4.5. It's nice to see Al win for a change, even though he ended up losing at the same time. I always thought this episode was odd. They put Puggy Weaver on a pedestal and consider him a hero but in "Peggy Turns 300" Al doesn't have a nice thing to say about him. Out of all the bowling episodes this would be my 2nd favorite, next to Peggy Turns 300. 4 stars. Just re watching this episode and noticed they made a scoring error for Bud. They show Bud making a horrible finger-jammed toss which eventually rolls down lane for a lazy strike and Al gets all excited. Then the screen cuts to a shot of the score card and there's NO strike for Bud in any frame! The entire score card looks off, but Bud's stood out to me. Most of them are having an excellent game!